Ogosh! I haven’t written in sooo long! I will write a better update soon but I wanted to get these fabulous outfit posts up for the new group coming!!! Can you all believe you leave incredibly soon?! Then, before you know it, you will be like my staj who are getting ready to leave in the next 4-5 months! NUTS! You all are probably done shopping for things but I am going to do a post everyday this week so you have a better idea of everything!!! 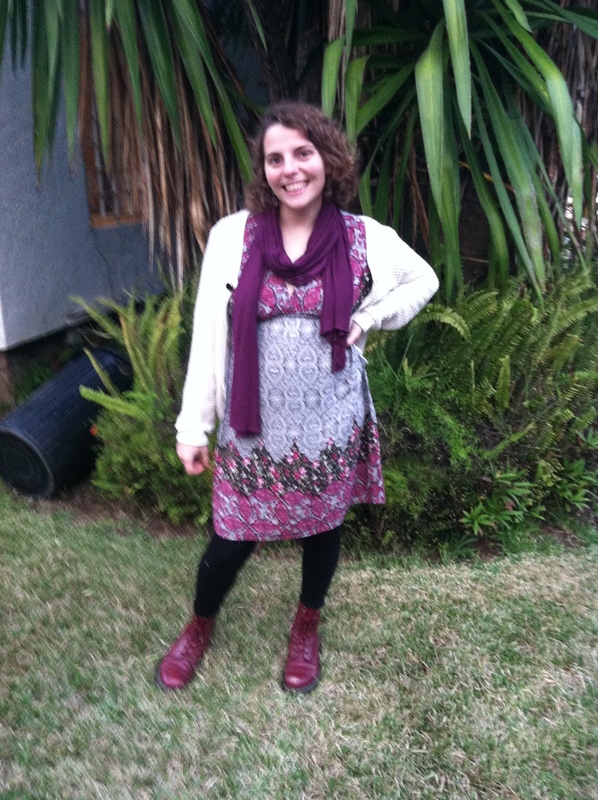 Today our fabulous volunteer has an incredible style that is part grunge, part cute and part chic. She is the site mate of my first featured volunteer. She lives a little bit south of Casablanca and has a pretty large site! She wears her boots all of the time… she said they were a bit on the expensive side but they have lasted through EVERYTHING Morocco has thrown at her and they are still in FANTASTIC shape!!!! This dress is one of the fun* items that my friend suggests you bring. 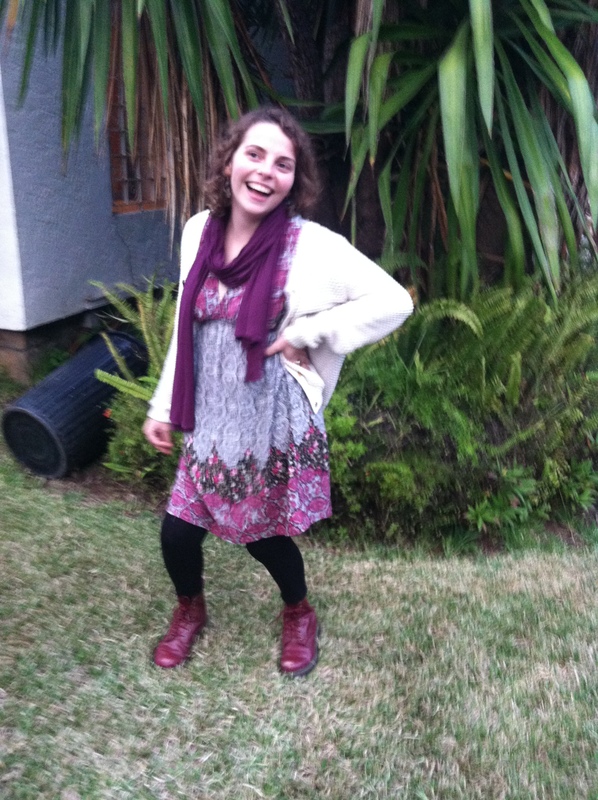 This volunteer said that she wears the dress in site over jeans and then in Rabat with leggings! Her advice to everyone is the same, don’t forget your cute outfits AND* bring a good pair of boot. Take care of those feet! Spend as much time you can with your loved ones!!! Remember that you are about to go on an adventure of a lifetime…. and you can look fabulous while doing it! Also don’t forget to check out another volunteer’s post on clothes if you haven’t yet!